​Come visit us at our showroom. Talk with one of our professional hardwood flooring specialists, discuss your options, and see our wide variety of hardwood flooring. 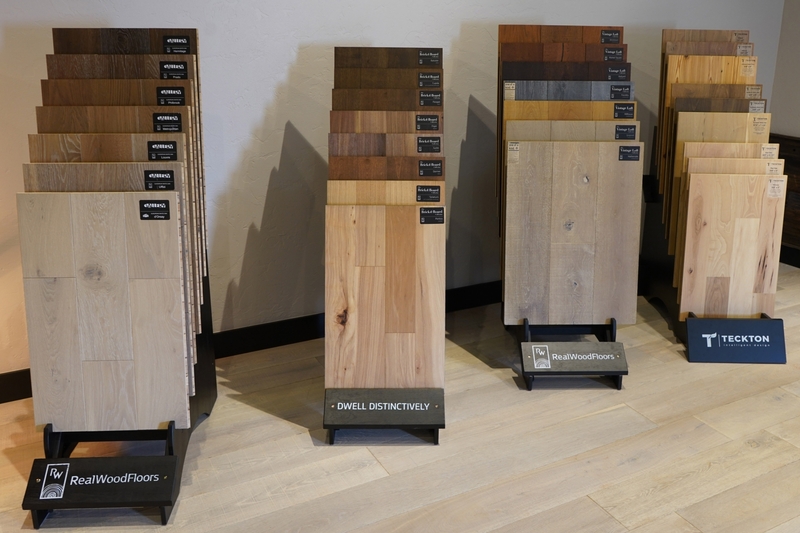 Our showroom allows you to see and touch the samples, making your flooring decision process a breeze. And if our showroom hours are not convenient, just let us know. We may be able to set up an appointment outside of normal business hours. Thank you for your interest in our products. Old World Hardwood Floors has samples of hardwood species available upon request. Please come by, call (405) 824-8642 or Contact Us for a sample. Our samples are free of charge, however, if mailed to you, shipping charges may apply. We ask that you would please return the samples to Old World Hardwood Floors after you have had sufficient time to consider whether or not you will be using our wood products for your project. This way we can continue reusing our product samples with other customers. ​Thank you again for the terrific job you and your crew did on our floors! I know it was one of the most challenging jobs you have done, and we are so pleased with the results. Matching the old flooring with the new and tying it together to look like one new floor was quite a test of skills, and your crew did a great job. We have already recommended you to friends, and we will continue to pass your name along.